When i heard about this game in the first time, the title really made me lost interest and you know what, the cover also did not help. What is ‘Goa’ anyway? What a lame name for a board game don’t you agree? Well if you want to know, Goa is India’s smallest state by area and the fourth smallest by population. Located in South West India in the region known as the Konkan, it is bounded by the state of Maharashtra to the north, and by Karnataka to the east and south, while the Arabian Sea forms its western coast. Goa is India’s richest state with a GDP per capita two and a half times that of the country as a whole.It was ranked the best placed state by the Eleventh Finance Commission for its infrastructure and ranked on top for the best quality of life in India by the National Commission on Population based on the 12 Indicators. Based on the history, this place held an important role in the European spice trades in the early 16th century. So, because of the influence, it has dominant Portuguese infrastructures and cultures. 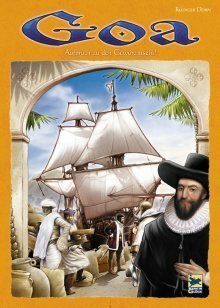 So really, what is Goa and why it has high rank on boardgamegeek.com? Well, i suppose i need to try the game to know and luckily one of my friends has a copy. He has the dutch version of the game and that means, the rulebook is in Dutch. My friend taught me the game and it’s quite simple. Combination of auction and resource management. So, my first time had been awesome. The game is great and to be honest i like it very much. One time, he lend me the game and my other friend gave me a copy of the English rule. When i had the time to read the rule, it came to my attention that the rule i was being taught is wrong and i played it wrong.Now, embellished by the English rule, i played it correctly or so i thought it was. After several games, with my various friends, there were some questions that came up that need to be clarified. Thus, i check through BGG’s forum and apparently there are many discussions and debates on the rules. I was confused and didn’t know what’s right or wrong. So after looking in every corners and discussing the rules with my friend, it come up to my conclusion that the official rules are rather unclear and really needs lots of errata and FAQ’s. Well, i learned the correct rules but up to this moment i haven’t had the chance to try the game with the correct rules. 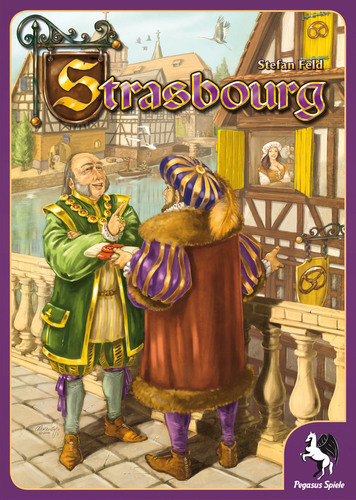 Designed by Rudiger Dorn and published by Hans im Gluck (Rio Grande Games for the international version) in 2004. 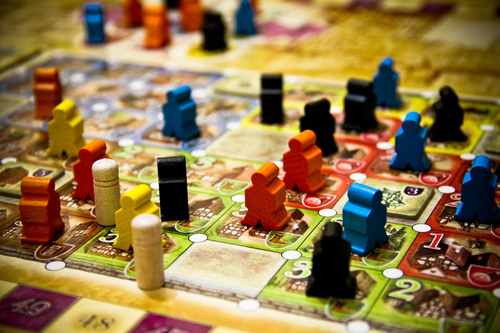 In this game, players are taking the role of Portuguese spice traders, looking to gain profitable settlements and trading routes in India, which describing the victory points in several aspects. Since at that time, Arab spice dealers controlled the spice trade in India. Therefore The Portuguese decided to attack one of the Arab’s position in the spice trade. In 1510, Goa was conquered and provide the Portuguese with bases for their fleet. From this coastal regions, they reach to expanding their colonies and influence for they still wasn’t in a favorable position in the spice trade. This led them to established a contract of trade with The Sultan of Ternate in Mollucas (The Spice island) which known to us as Maluku (now is an island as part of our nation, Indonesia). As traders, players will have to plant spices such as nutmeg, ginger, clove cinnamon and pepper. With those spices, players can trade them for various treats. Honestly i doesn’t like the artwork and the man at the cover really similar to King Phillips in Caylus cover, but this one is better. The artwork on the board seems nice, has a soft and classic looks. It’s not my favorite style of artworks but the game play really helps me like it. All the artworks and illustrations were made by the artist Oliver Freudenreich. Let’s talk about what would we find inside the box. 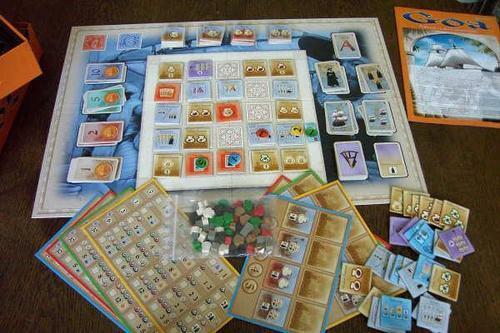 There is a big nice looking board which contain almost the game components during game play (cards and tiles). Player mats with 4 different colors (for 4 players), 2 mats for each player. The main mat is for progress (describe the table of actions and levels that a player can take), and the other mat is for player’s field (it can hold plantation & colony tiles). The wooden meeple spices are interesting one, it shaped like spice sack with colors. Red for nutmeg, green for pepper, brown for cinnamon, black for clove and white for ginger. The cards are printed in linen thick papers and they cover the money (ducats), colonists, ships, expedition and action cards. The expedition card has multiple function as a set collection, expedition cards and for finding a colony. The game come up with insert tray (nice looking one i suppose) but the cards container really annoying, since the cards always messed up when try you carry the game. And it won’t fit if you sleeve the cards. The game consist of 2 parts (Part A and Part B), with 4 round in each part (this will get you 8 rounds in total). For every part there will be 25 from 27 tiles that will be randomly placed in the center of the board. You can see the different tiles from it’s back (Part A has red color on the back and Part B has blue color on the back). The main goal is to collect as many VP in the end of the game which there will be a scoring. Each player are given the player mats, progress marker cubes, auction tiles based on their chosen colors. Each player starts with 2 colonist, 4 ships and 10 ducats, except the first player who only get 7 ducats. The game turns consist of 4 phases, which are Place Auction Markers, Bidding Phase, Action Phase & End of Round Phase. 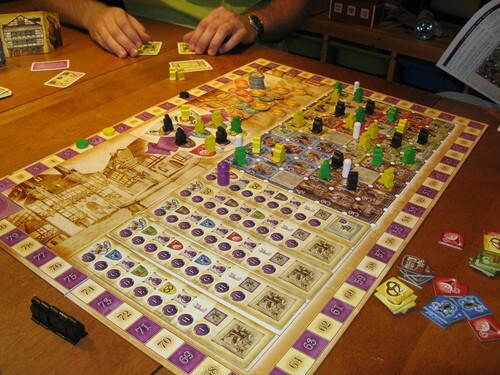 Place Auction Marker Phase – In the first phase, the first player put his first auction marker and the flag tile in the edge of the tiles sections and followed in clockwise by other players with their auction markers. The markers can be place upon the tile which is adjacent diagonally or orthogonally from the previous auction marker placed. The goal of this phase is to collect tiles which can give players certain effects based on the tile types. After all players put their auction marker on tiles, the first player put his last auction marker on a tile of his choice (regarding the legal requirement to place it). 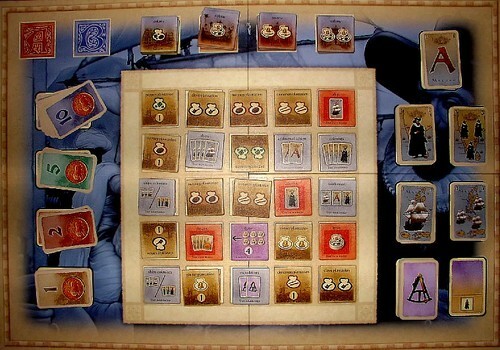 Bidding Phase – Then the second phase started, from the flag tile first. In this bid, players will bid for the first player position and 1 action card (which gained by being the first player). The first player to bid (or the owner of the auction marker) will start the bid from 0 and going clockwise (once a round) until the first bidder having the last call. If he pass the bid, then the last highest bidder pays his bid to the owner of the auction marker and take the tile (resolving the effect of the tile). Or, if the first bidder has the highest bid, he pays the bank and take the tile for himself. Action Phase – After the auction is over, the action phase begins. Each player. starting from the player who has the flag tiles do his first action. Player choose his actions of harvest, advance on development chart, shipbuilding, taxes, expedition and founding colony. 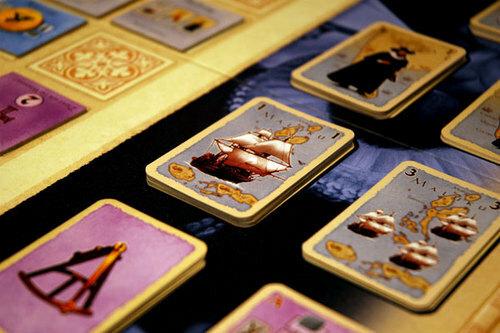 Each player has 3 actions on each turn that they will take one by one based on their turn order. Advance on the development chart means you can advance your progress marker cubes down a level, of course by paying the cost shown. Shipbuilding is to take ship cards based the level of shipyard, harvest is to put spice sacks on the player’s empty or half empty tiles. Taxes generates income based on it’s level. Expedition is to take amount of expedition cards with certain hand limit. The last possible action is founding a colony. Colony is found by drawing 2 expedition cards from the deck and add the total of colonist with the ones on the development chart. If the total sum is equal or greater than the requirement of a colony, the player success on finding that colony. He take the tiles of his choice of that colony and put it in his player mat (this kind of colony cannot be replaced and there always only one slot for each colony. You can’t change or stack the colony tiles. After all players already took their 3 actions, starting from the first player can use his action card. The action card limit that a player can keep at the end of each round is one. So if there is more than one card, that player must discard or use it before he pass the action phase. End of Round Phase – There is certain condition to be met in this phase. Each player cannot use more than 1 action card each turn, as well as he cannot keep more than one at the end of each round. A player who has passed may not use his extra action cards. When After the 4th round, the remaining tiles on the board are discarded and the new tiles of part B are randomly placed. The 5th round begins with new tiles to bid. At the end of 8th round, the game is over and the scoring begins. Points are awarded in 7 different categories (position of markers on the development chart, number of colonies, expedition cards / set collection, ducats, plantation tiles that gives VP, Selling tiles and Mission tiles). There is a unique thing about the expedition cards. This card can be played by players by maximum 1 for each turn, and has 2 different types (cards that related to specific action and cards that doesn’t related to any specific action). The tiles also has different types, plantation tiles produce spices (the amount of spices is various based on the amount of icons. Plantation tiles that only produce 1 spice sack also give bonus 1 VP in the end of the game. Tiles with light blue background has instant effects, these tiles are traded with it’s corresponding item when acquired. Tiles with red background produce items in every round and doesn’t count as action. Tiles with purple background provide bonus VP. Tiles with dark blue background has different special effect that can be played once. With 27 tiles in each part, you can have 2 tiles in your disposal to support the replay value and since the game has auction mechanic, i would say the replay value is high. At the bidding phase, each player will decide the most important thing in the game, to call the bid or pass. They must choose to get the money or the tiles. If you’re the first player to put the flag tile, it’s important to position the flag in certain space to get the condition as you want it. I’ve played this game several times and i still want to play it again. The game is simple but holds a deep game play with the unique bidding mechanic. This auction gives players indefinite situations, it will forced players to act differently each game, that means high replay value. Okay, my first play of the game was too messed up, my friend taught me the awfully incorrect rules. But that time we did not know that we play it wrong. I like the game and won’t mind for another shot. My next game was quite a revelation, since i unearthed some of the incorrect rules from my previous games after i read the English rules (there was only dutch rules available back then). I played my first game with only 1 action per turn that really devastating. How difficult it was to progress your development chart in the game. My second and other games were more entertaining since i grabbed the English rules, but i knew that it badly need lot of clarifications and erratas. And it turned out i was right, my previous games were also incorrect. We playing it wrong before, even by the English rules. So i look for clarifications in the forums and well, i guess now i know the correct ones. The game really interesting and i love to play it again (with correct rules of course). Too bad that this awesome game is out of print and there is hard to find (dutch version only available in my FLGS), and i only knew one person who own the game. But fortunately if i want to play the game i could just ask him. I heard there are rumors, that this game is going to be reprinted, new version and international. Well, I’m gonna look into that one for sure. The game has good replay value, nice looking components, easy to learn but competitive and great player interactions. 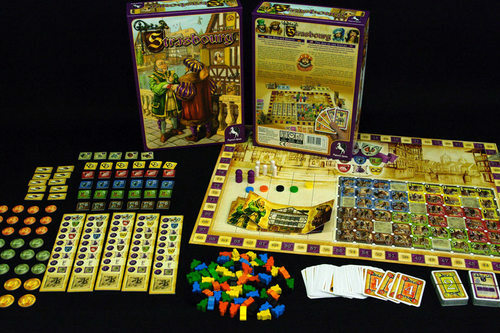 You can also view this review on boardgamegeek.com here.